The United Nations Secretary-General Antonio Guterres said, Monday, that a «solution to the Western Sahara conflict is possible», in a report seen by Agence France Presse (AFP). Guterres’ report assesses the first and second round-table talks that brought delegations from Morocco, Algeria, Mauritania and the Polisario together in December, 2018, and March, 2019, in Geneva, the French news agency reports. The UN Secretary-General stressed in his report that a solution to the territorial conflict would need «strong political will, not just from the parties and neighboring states, but also from the international community». By the same token, Guterres explained in his report that the main «problem» that hinders the search for a solution to the territorial conflict «was the lack of trust on all sides», the same source said. For that, the Secretary-General pointed out that «building trust will take time and encouraging good faith gestures from the sides». Meanwhile, Guterres hailed the Polisario’s decision to destroy the remaining landmines, stressing that it was a «commendable first step» that would help build trust among the parties. As expected, Guterres referred to the United Nations Mission for the Referendum in Western Sahara (MINURSO), calling for the extension of the peacekeeping mission, without specifying its duration. 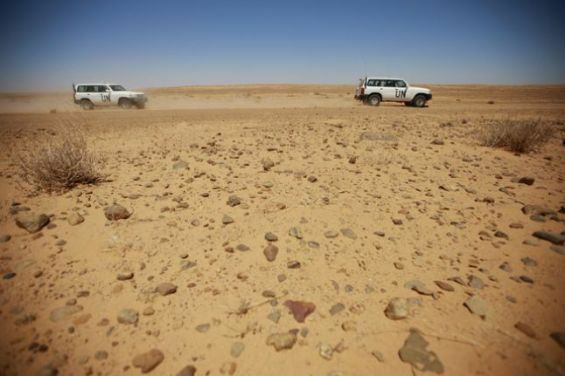 For the record, the Security Council is expected to decide on the MINURSO’s mandate by the end of the current month, which will see the adoption of a new resolution on the Western Sahara conflict. Indeed, in its provisional program of work for the month of April, the UN Security Council is expected to see the presentation of a report on the MINURSO on Tuesday, April the 2nd.